Based in Lisburn, Northern Ireland, Aiken Kennedy Financial Planning offer independent financial advice to both personal and corporate clients. Our client base incorporates residents in the United Kingdom, Republic of Ireland and further a field. We are a local firm of Independent Financial Advisers based outside Lisburn, County Antrim in Northern Ireland. With over 10 years experience in financial services, we offer a broad-brush approach to financial planning, by offering clients a comprehensive professional and friendly service working on a fee or commission basis. We offer a variety of products and services that include our FINANCIAL REVIEW SERVICE. This is designed to take stock of clients current financial arrangements and project them into the future taking into account the up's and downs of life, offering piece of mind and the option to address shortfalls. Select Mortgage and Financial Solutions Ltd. 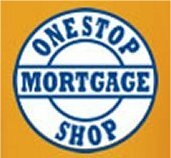 Web Link: Select Mortgage and Financial Solutions Ltd. Select Mortgage and Financial Solutions Ltd are a well-established business based in Lisburn, and have over 50 years of experience collectively between their advisers. We are backed up by one of the Uks largest Financial Services networks, which is fully authorised and regulated by the Financial Services Authority. Select Mortgage and Financial Solutions Ltd specialises in Mortgages, Protection, Household, Private Medical Insurance, Accident Sickness & Unemployment Insurance. We can also refer you to other branches of our network who specialise in Investment & Pensions, Buy to Let Insurance, Commercial Finance, International Properties, Car Insurance, Travel Insurance, Student Possessions Insurance & Pet Insurance. We endeavour to exceed our customers expectations by providing a prompt, reliable & professional service.